The sun was low in the sky, the heat of the day ever-present. 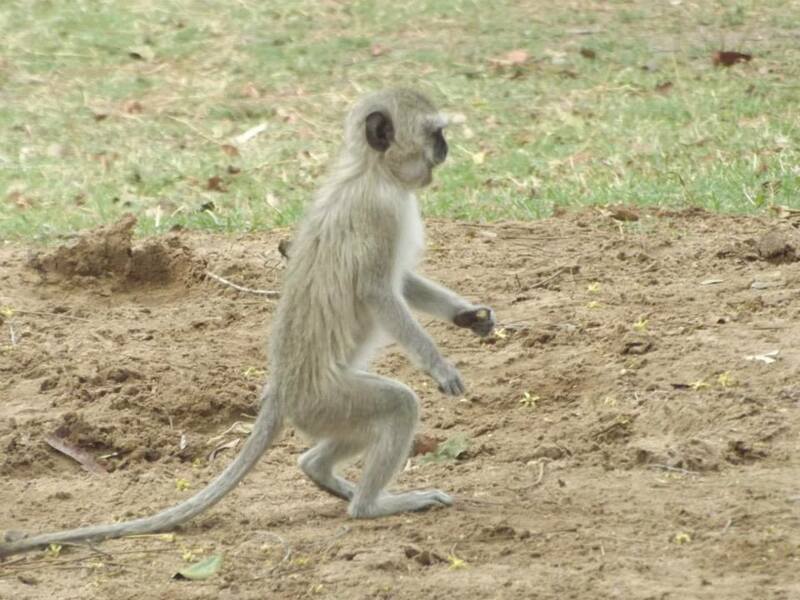 I was making my way from the bar on the Zambezi River, back to my tent after quenching my thirst, when I spotted a male Vervet Monkey with his tongue out, catching the drops of water that escaped from a leaky tap. As he stood bouncing up and down, waiting impatiently for the next drop, his three youngsters played in the nearby bushes. I stopped in awe, watching the bright-blue-testicled adult, and three bright-eyed, bushy-tailed babies. I couldn’t help but think they looked like miniature, cuter versions of us. While I contemplated, I didn’t even notice that a youngster had approached me. He stood less than a metre from my feet, eyeing me from head to toe. Slowly, I knelt to the ground, taking care not to scare the little thing. His gorgeous big brown eyes took me in as he cautiously stepped toward me sitting cross legged on the concrete. I wished I had a camera on me. But they say the best moments in life happen when we are not looking at life through a lens – and as he stretched his arm tentatively toward me, that sentiment rung truer than it ever had. His dark caramel eyes ran up and down my body before he stopped to look at my face. As we looked into each other’s eyes I could see his little brain ticking over. I could see how intrigued he was by me, by this huge monkey sitting before him, just as I was intrigued by him. I watched as his little black fingers danced in mid-air as he reached out to me. Just as I stretched out my hand out to him, someone walked along the concrete at full speed, scaring him. 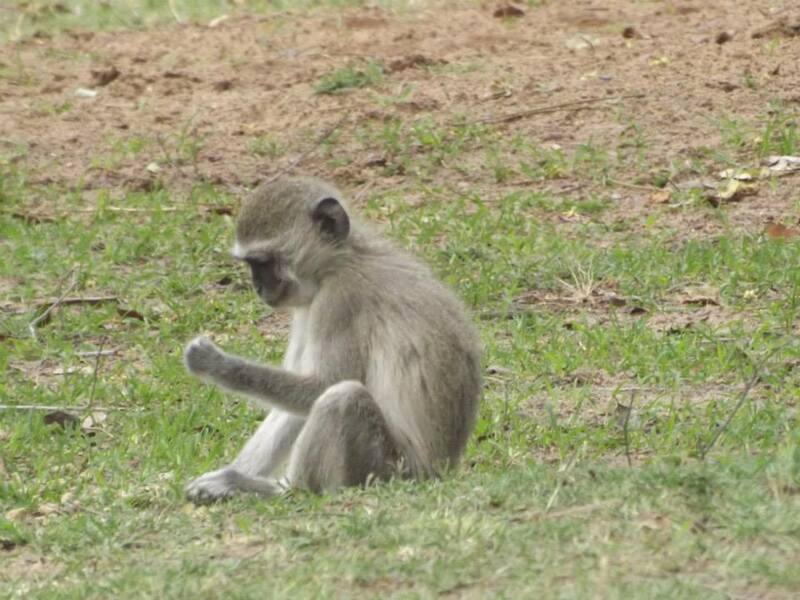 He scurried up a tree and I sat there still mesmerised by those few minutes I’d spent with a baby Vervet Monkey. That interspecies connection and mutual respect remains one of the most gorgeous moments I’ve ever experienced.